For whichever reason it might be, if you ever need to change your Startimes Android devices IMEI, do you know that you can use the similar method for changing HTC, Samsung, LG and some other androids IMEI to write a new IMEI on your Startimes Android device? Yes. You can. Because most Startimes Android devices are Qualcom powered just like the HTC, Samsung, Sony and other androids alike, you may write new IMEI on Startimes Androids using similar method. In this tutorial, I discuss a method of changing all Qualcom powered Startimes Android devices' IMEI. NOTE: using this method, I have not personally changed any Startimes androids' IMEI but some have successfully done it. Changing of IMEI is illegal in some countries and this publication is ONLY for tutorials purposes therefore; you are solely responsible for your actions. 1. ROOT Access: the Startimes Android device must be rooted to successfully change the IMEI using the guides explained herein. 2. Xposed installer: you need to have Xposed Installer installed on your Startimes android device. You may download Xposed Installer here. 3. 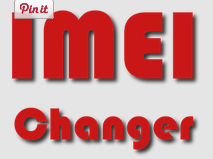 IMEI Changer: you may download the IMEI changer from Play Store here. The IMEI Changer linked above is the specific IMEI Changer needed for this method to work because it is an Xposed module. 1. Install Xposed installer and launch it. 2. Click on Framework, then click on install/update. 3. When it is successfully updated, reboot your device. 5- Open Xposed Installer and click on modules. From the list, select and tick IMEI changer then, click on the IMEI Changer from within the Xposed Installer to lunch IMEI changer. 7. Generate your blackberry IMEI and input it in the space provided and click Apply. 8. Reboot your device and dial *#06# to confirm that your IMEI was successfully changed. Please be informed that Xposed Installer bricks some android devices. Although, Startimes Androids are not as tender as some Samsung androids, you should take necessary precautions while following the instructions . If you have any questions, use the comment box below. Also, don't forget to comment if this method works for you.